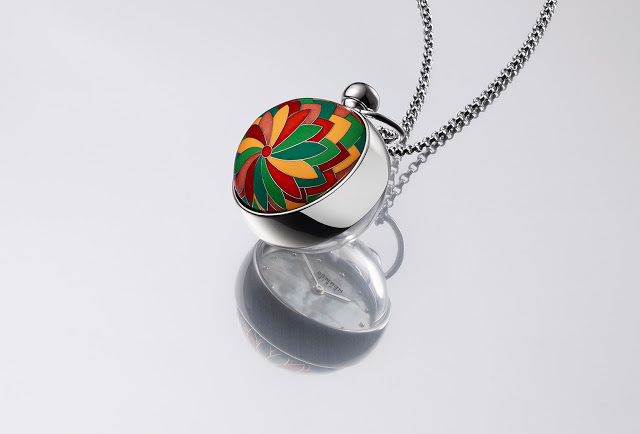 Hermes brings its delicate and tasteful sensibilities to the Pendentif Boule, a ball-shaped pendant watch in white gold decorated with cloisonné enamel. A day after the Apple Watch Hermes, the Parisian leather maker unveils a timepiece at the other end of the spectrum. 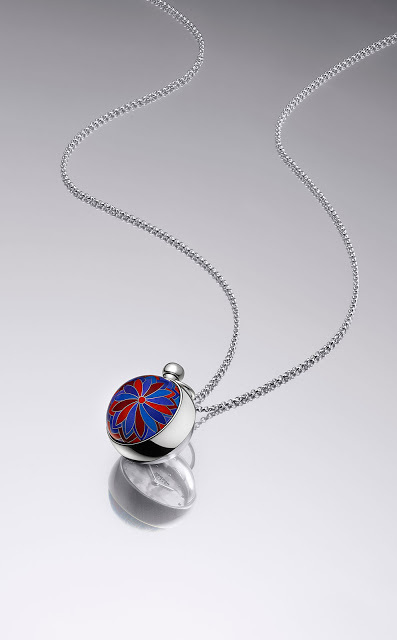 Pendentif Boule translates as “ball pendant”, a simple name that belies the complexity of its decoration. 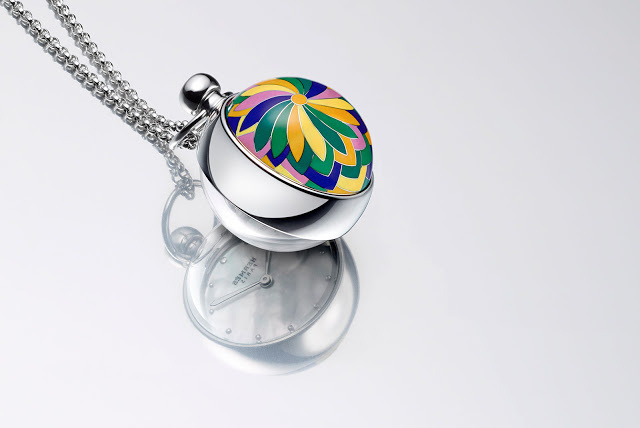 Less a timepiece than a pendant that happens to include a clock, the Hermès Pendentif Boule is decorated with a flower motif executed in cloisonné enamel, with intricate white gold wires formed by hand comprising the outline of the flower. The Pendentif Boule is actually a white gold half sphere, with the other half being the crystal over the dial of the watch. Tiny gold ribbons are shaped by hand into the shape of flower petals – these are known as cloisons or cells – then bent ever so slightly to fit the curve of the sphere. These are then applied to the sphere one by one to form the floral motif. 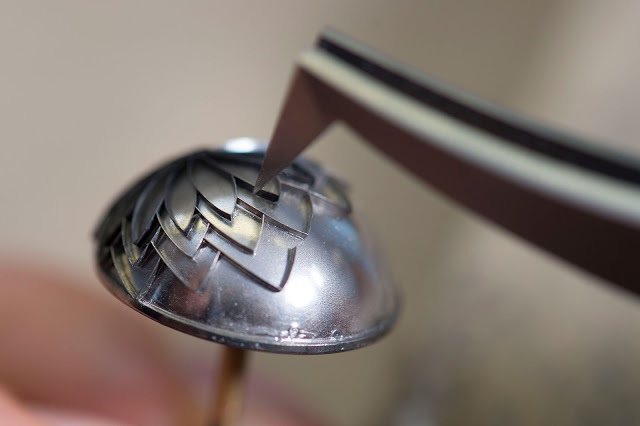 Each metal ribbon has to fit the sphere exactly with no gaps, otherwise the enamel would leak out. 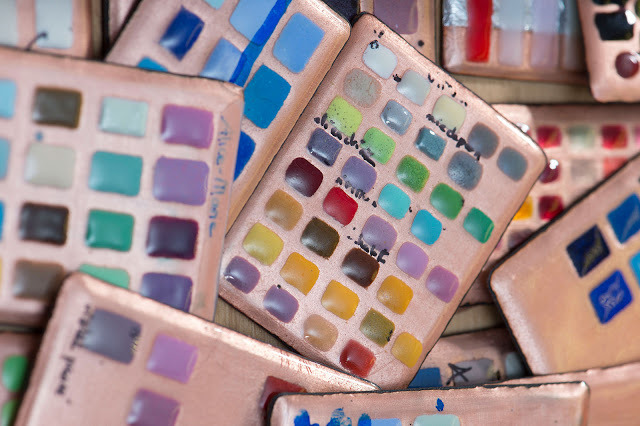 Once the motif is formed, the enamel is painted by hand and fired in an oven, one colour at a time. 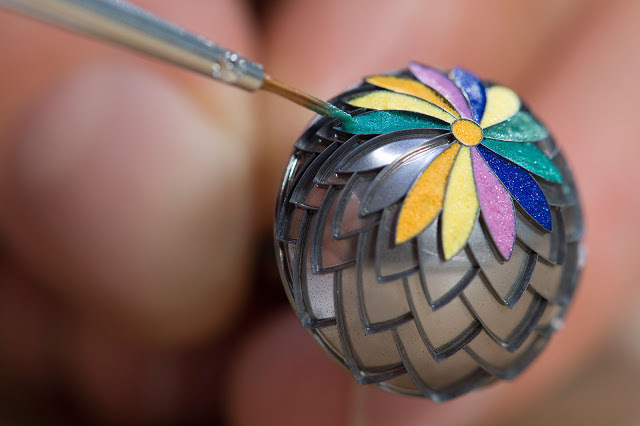 Repeated trips to the oven to set the enamel at 800°C are required before the entire motif is complete. Inside the white gold ball is a quartz movement, with the time displayed on a mother of pearl dial. The sphere measures 21mm in diameter, and is accompanied by a matching 18k white gold chain. The Pendentif Boule costs SFr55,000 or S$79,400. That works out to about US$56,500.